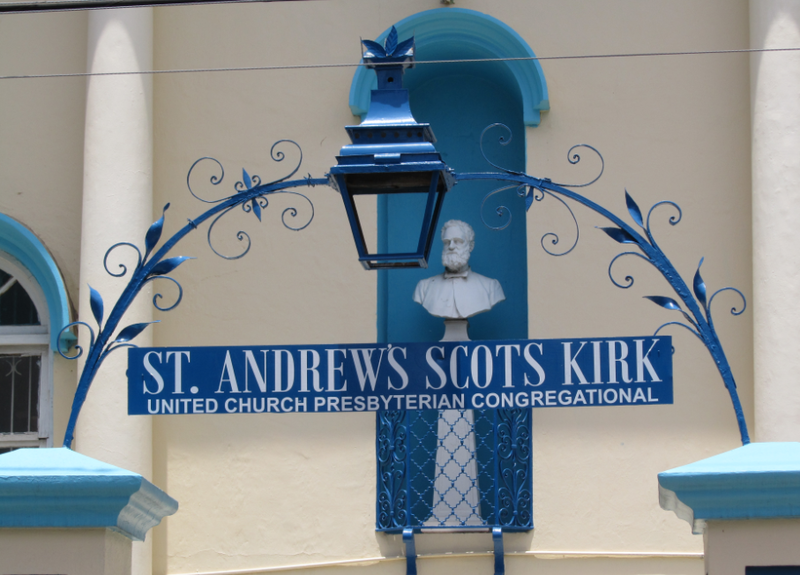 The St Andrew’s Scots Kirk began life as the Scots Kirk when it was constructed during the years 1813 to 1819. 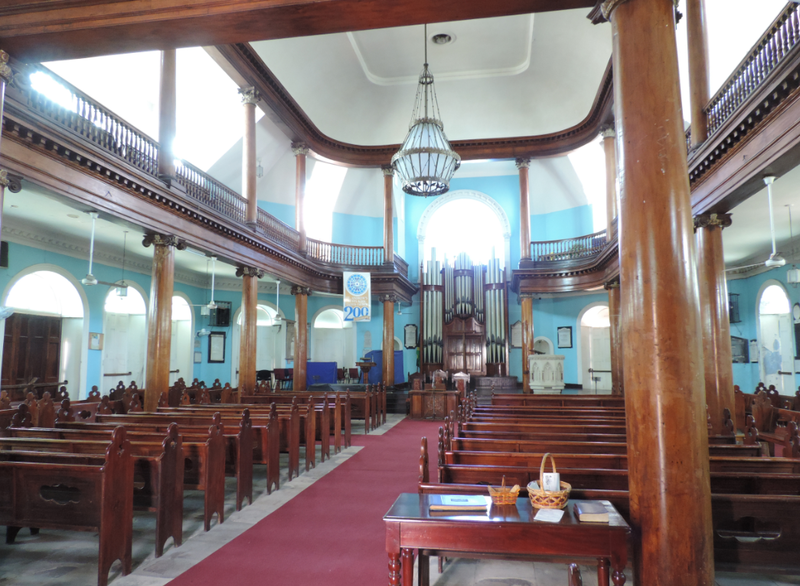 The original Scots Kirk was the main Presbyterian Church in Jamaica until 1907 when it was destroyed by the great earthquake. The current church was built on the same site, to the same design but slightly shorter. In 1939 the nearby St Andrew Kirk (also a Presbyterian Church) collapsed and the congregation joined forces with the Scots Kirk to form the “St Andrew’s Scots Kirk”. 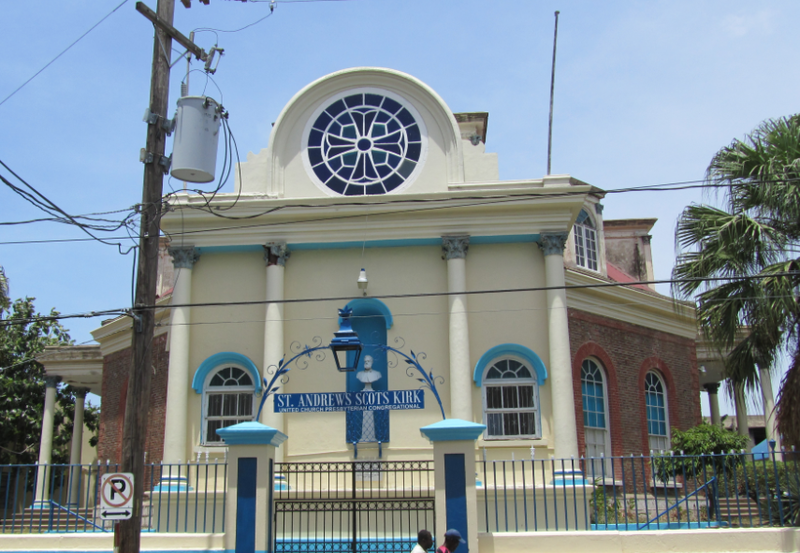 It continued as a Presbyterian Church until 1965 when, following a merger of Jamaica’s Presbyterian Church with local Congregational Churches, it came under the denomination of “The United Church of Jamaica and Grand Cayman”. In 1992 this denomination merged with the Diocese of Christ Church in Jamaica to become “The United Church of Jamaica and the Cayman Islands”.